A typically-patterned subadult of the age and size at which this species is usually offered for sale. 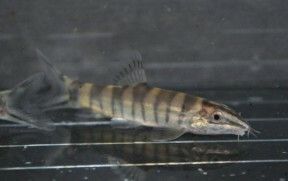 Mature adult with typically bifurcate vertical body bars. Described from ‘Li Kiang, southern China’, which presumably refers to the place of the same name near Nanning city, Guangxi Autonomous Region. Nanning is located at the confluence of the You and Zuo river systems which combine to form the Yong Jiang (Yong River) as it flows through the city, after which it’s known as the Yu Jiang. The Yu later joins the Xi Jiang, a major tributary of the famous Zhu Jiang (Pearl River). S. robusta has been recorded from several other tributary drainages of the Zhu Jiang system including the Liu Jiang and Gui Jiang. The Zhu drains most of Guangxi plus Guangdong province, with parts of its upper reaches extending into parts of Yunnan, Guizhou, Hunan and Jiangxi provinces, plus northern Vietnam. The area is one of the most populous and industrialised in China so much of the main Zhu channel is now highly polluted, particularly in its lower reaches. 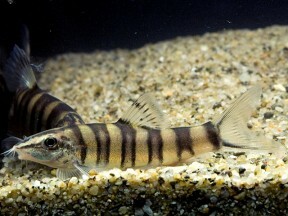 Not much information is available but presumably inhabits moderate-to-slowly flowing stretches of streams or main river channels with clear water plus substrates of sand and rocks, as do other members of the genus. Sympatric species often include Tor brevifilis, Onychostoma ovale, O. lini, O. gerlachi, Cirrhinus molitorella, Luciocyprinus langsoni, Saurogobio dabryi, Cobitis sinensis, Parabotia fasciata, Sinibotia reevesae, and Silurus asotus. An aquarium base measuring at least 120 ∗ 30 cm or equivalent is recommended. A natural-style arrangement could include a substrate of sand or fine gravel with plenty of smooth, water-worn rocks and pebbles plus driftwood and branches. They are however intolerant to accumulation of organic wastes and requires spotless water in order to thrive. For this reason they should never be introduced to biologically immature set-ups and adapt most easily to stable, mature aquaria. In terms of maintenance weekly water changes of 30-50% tank volume should be considered routine. Likely to be a benthic predator hunting insects, crustaceans, and smaller fishes in nature. 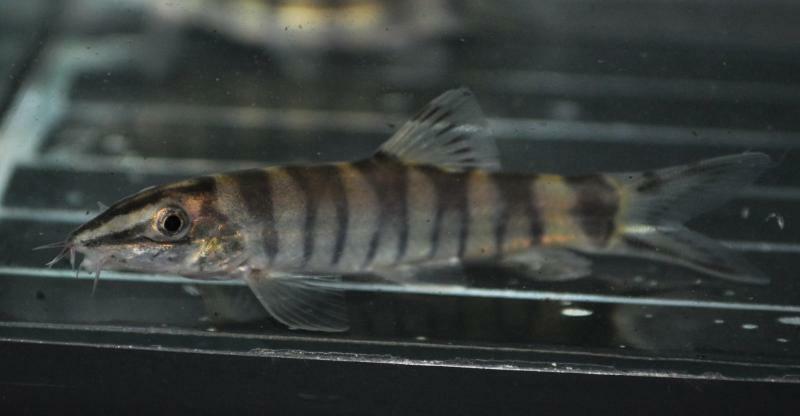 In terms of other bottom-dwellers this species should do well alongside most Botia and Sinibotia spp. and in very large tanks, Chromobotia macracanthus. 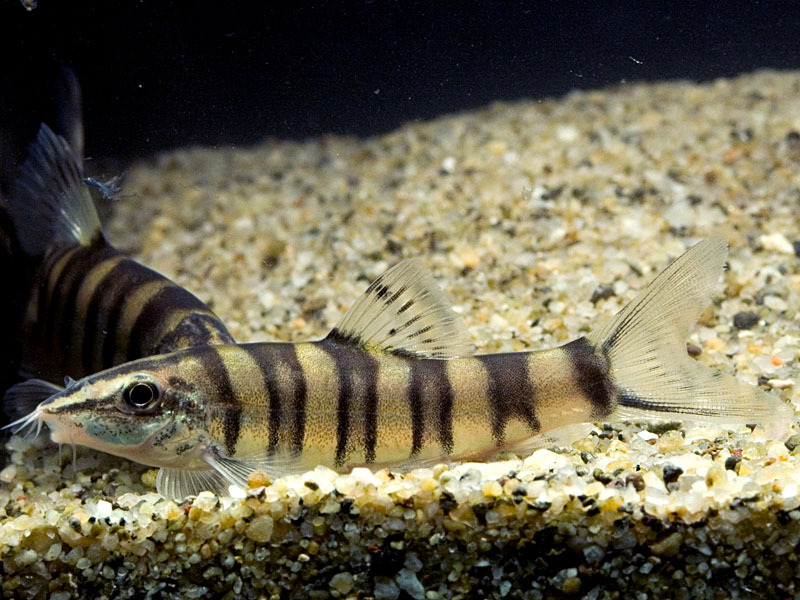 Many balitorid, cobitid, gastromyzontid and nemacheilid loaches are also possibilities as are members of Epalzeorhynchos, Crossocheilus, and Garra plus many catfishes. 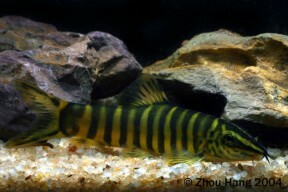 This species is also sold under the vernacular names ‘golden Chinese loach’ and ’12-banded Chinese loach’. Along with S. pulchra it’s the most commonly-traded member of the genus, and the two are often imported in mixed batches, presumably because they occur and are thus collected together in nature. Congeners possess flexible, sinuous bodies but this character is less pronounced in S. robusta with it possessing an overall deeper, stockier body shape. 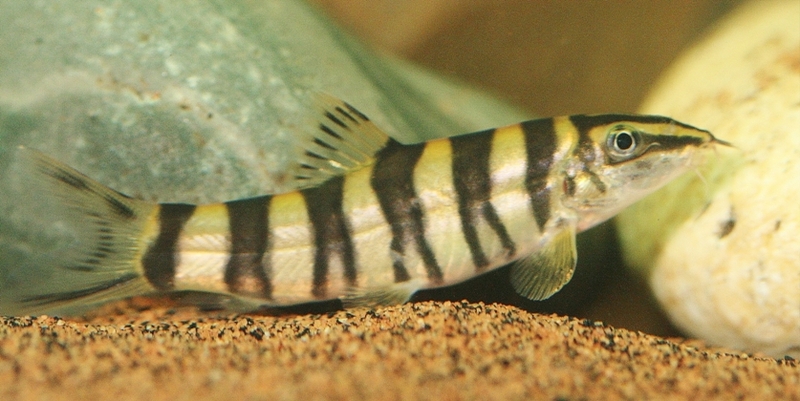 It was previously considered to belong to the genus Botia with the earliest reference regarding its inclusion in Sinibotia we’ve been able to find being Nalbant (2002). However, no reasoning is given in that study so the move may have been proposed earlier. Neither have we been able to obtain any solid diagnostic information but at any rate it’s easy to tell apart from other Sinibotia spp. since it has a relatively deeper, more compact body shape. 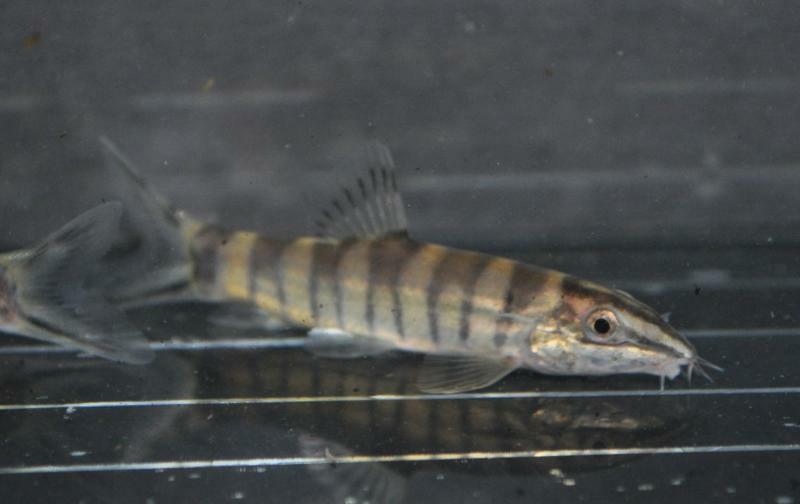 Young specimens tend to have around 6 dark, vertical body bars but these usually bifurcate as the fish mature.